Derived from the ancient art of henna body painting, these 31 striking patterns are based on authentic Indian, African, and Middle Eastern sources. 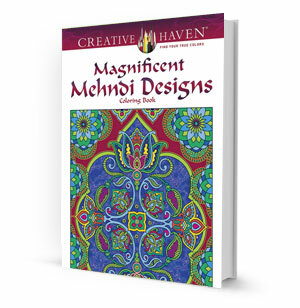 Awesome animals, hypnotic paisley prints, and intricate floral designs offer an array of coloring possibilities. Pages are perforated and printed on one side only for easy removal and display.